Simply passing the time of day with a stranger could bring some longed-for human contact to someone’s day. That’s the premise of the Chatter & Natter table, within the café at St Mungo’s Museum of Religious Life and Art. The museum’s café, run by Encore Hospitality Services, has joined The Chatty Café Scheme that is looking to include chatter and natter tables in establishments, as part of our everyday café culture. The table, in the café, is marked with distinctive signage indicating that customers who sit at it are happy to talk to other customers, while they enjoy their refreshments. Part of the city’s support for The Campaign to End Loneliness, a Chatter & Natter café creates a space for people to talk; whether it’s for five minutes while you have a quick cuppa, or half an hour of good conversation. Since its inception, around six months ago, café staff noticed that the table was particularly busy during peak tourist season when tour guides and Glasgow Cathedral staff take to sitting at the table talking to visitors and residents alike. Ann Cameron, Encore Catering Manager at St. Mungo’s, said “When we introduced the Chatter & Natter table we didn’t quite know how it would be received. “Some days are busier than others at the table, but if it’s quiet and staff see someone sitting at it, we always make a point of going over to have a conversation with the person. “We know that our five minute chat might just have a big impact on someone’s day. The scheme is now being rolled out to other Encore cafes in Bellahouston Leisure Centre, Tollcross International Swimming Centre, Kelvin Hall and Tramway in Glasgow. Glasgow’s unique energy-from-waste plant has become fully operational. The £155m Glasgow Recycling and Renewable Energy Centre (GRREC) is now diverting 200,000 tonnes of the city’s waste from landfill and generating enough electricity to power 22,000 homes. Delivered through a 25-year partnership between Glasgow City Council and recycling and low-carbon energy company, Viridor, the GRREC has the ability to extract recyclable material from general waste and boost Glasgow’s overall recycling rates, diverting 90% of council-collected waste from landfill and saving 90,000 tonnes of carbon emissions each year. With national restrictions on sending biodegradable waste to landfill due to come into effect on January 1, 2021, the GRREC is pivotal to Glasgow’s efforts to meet the forthcoming landfill ban. Councillor Anna Richardson, City Convenor for Sustainability and Carbon Reduction, is convinced the GRREC will turn around Glasgow’s environmental performance following years of disposing hundreds of thousands of tonnes of waste at landfill. Councillor Richardson said: “The GRREC is a unique piece of technology that will transform how we think about and deal with waste in Glasgow. With the GRREC becoming fully operational we can take a giant stride towards our objective of Glasgow becoming the most sustainable city in Europe. “This new plant is an environmental success story in a number of compelling ways. The GRREC will help to ensure the days of simply dumping our waste in the ground will quickly come to an end. This provides a massive carbon reduction bonus for the city as we play our part in tackling climate change. Generating enough clean energy to power 22,000 homes also shows that sustainable solutions are within reach if we look for them. a smart recycling facility that extracts recyclable material from general waste to create a Refuse Derived Fuel (RDF) which can be further processed to release energy. An anaerobic digestion facility which uses bacteria to break down organic waste and release methane which is used as a fuel to generate renewable electricity. Finally, an Advanced Conversion Facility (ACF) heats the RDF in very low oxygen concentrations to synthesise a gas which is then captured and fully combusted within a secondary chamber. The high pressure steam generated by this process in turn drives a turbine to produce renewable electricity which is then exported to the national grid. Further information on the GRREC can be found in the committee paper due to be presented at the council’s Environment, Sustainability and Carbon Reduction Policy Committee on March 19. Glasgow City Council is seeking views from local groups and voluntary and third sector organisations around the city, on a new grants fund. The new fund, being introduced in April 2020, will be used to tackle specific city priorities, allowing resources to be directed where they are needed most and can make the biggest impact on the lives of our citizens. The council have committed to look at how it will fund third sector and community groups to deliver these priorities, as set out in the Council’s Strategic Plan and this is underpinned by the Concordat developed with Third Sector Interface Network in 2018. As partnership structures within the city have changed including the founding of the Health and Social Care Partnership (HSCP), the establishment of the Community Empowerment Act and the development of the council’s community plan, the establishment of the new fund come at a timely juncture. Stakeholder engagement events are being organised at the end of March to consider the priorities for the new fund while looking at increasing access, improving evaluation and measuring the outcomes and sharing of best practice. Part of the discussion will also focus on how the fund can be used more flexibly to take account of or be redirected towards addressing emerging issues in the city. It will also look at how the council can support projects for longer than a year, which is the current funding period. Councillor Jennifer Layden, city convener for equalities and human rights, said: “The development of a new fund gives us an opportunity to take a fresh look at what matters to people in their local areas and where we need to target our support to really make a difference. “We already have strong relationships with a number of third sector and community groups around the city but we are aware that since the IGF was introduced in 2010 there are maybe new groups that want to have their say and assist us in jointly developing ambitious new plans. “This is their chance to become involved and have a say in what we should be funding and importantly how we can widen access to the fund. Places at the events were all booked up by local groups and voluntary and third sector organisations within a very short period of time but work is being done to look at holding a third event to make sure that a wide range of views are gathered. Scottish Book Trust announces new participants for What’s Your Story? Scottish Book Trust, the national charity transforming lives through reading and writing, has today announced the seven teenage writers and illustrators who will join the What’s Your Story? programme. Now in its fourth year, the scheme has so far assisted over 20 young people from across Scotland to develop writing, illustration and performance projects. 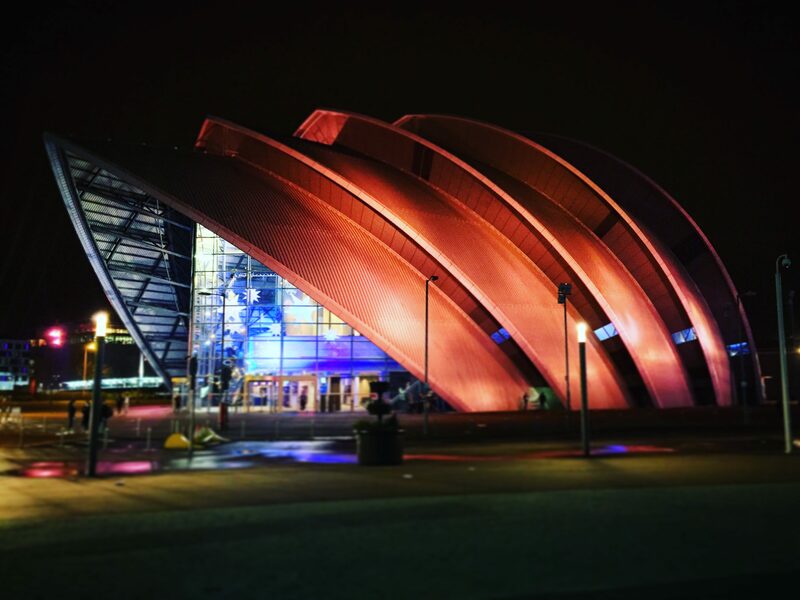 Two young writers from Glasgow have been selected for the What’s Your Story? programme. Ailbhe Murphy and Skye Ailun Peng, both 15 years old, were selected by a judging team, which included one of the previous What’s Your Story? participants, and representatives from Creative Scotland, The National Library of Scotland, The Gaelic Books Council and Scottish Book Trust. Participants were selected on the enthusiasm and dedication they expressed for teenage participation in creative and literary culture. Ailbhe Murphy, a writer of Gaelic short stories, applied for the What’s Your Story? programme because she often finds it hard to express her love of writing with other people her own age. Ailbhe also wants to demonstrate that Gaelic is not an ‘ancient’ language but one that can still be used to express modern thoughts and ideas. Maureen Macleod, author of Banais na Bliadhna (The Wedding of the Year, Sandstone Press) will mentor Ailbhe on her Gaelic short stories throughout the programme. Skye Ailun Peng, a novel writer, is particularly interested in the Young Adult contemporary and fantasy genres. She applied for the programme as she would like to develop her writing skills and style. Alex Nye, author of Darker Ends and For My Sins will mentor Skye, assisting her with plot and novel planning. The young people received an induction programme with The National Library of Scotland, where they had the opportunity to research their chosen subject and gain inspiration for their personal creative works. They have also recently taken part in a week-long retreat at Moniack Mhor, Scotland’s creative writing centre, where they had dedicated time with their mentors. As part of the What’s Your Story?, the participants will plan and host StoryCon 2019, Scotland’s biggest creative writing and illustration conference for young people. Last year, this took place in Glasgow and was attended by over 100 young people. The young people will have the opportunity to preview their creative projects at a showcase event, wrapping up the work they have completed during the What’s Your Story? programme. Industry experts will train the young people to express their work in front of a live audience, with the use of music and images. Organised and run by Scottish Book Trust, What’s Your Story? was originally funded by Time to Shine, Creative Scotland’s national youth arts strategy and is the first nationwide programme of its kind in Scotland.This year it is funded by Badenoch Trust, Kiran’s Trust and The Hugh Fraser Foundation, as well as other trusts and private donors. What’s Your Story? is free to take part in and travel expenses will be covered for all participants. The Gaelic Books Council also funds a Gaelic-language place. The Badenoch Trust has made grants to a wide-range of UK organisations since its inception. It is a long-standing supporter of the arts, community, education and sports, and seeks to raise the aspirations and improve the life chances of young people. Kiran’s Trust was founded in 2009, in memory of Kiran and celebrating the creative arts and sports, which she held dear. The Trust recognises this passion in other young people and provides support to help them advance in further education and participation in these areas. Kiran’s Trust provides support to young people through schools and organisations to learn different types of art. Some of this support is in creative art, specifically to introduce ideas, techniques, skills and media which helps students to visually express themselves. Other support is in performance arts, providing opportunities for writing, music, drama and dance participation. The Gaelic Books Council is the lead organisation with responsibility for supporting Scottish Gaelic authors and publishers, and for raising the profile and reach of Scottish Gaelic Books in Scotland and internationally. A consultation has been launched to seek opinions on the future entry criteria and catchment area for Notre Dame High School. There was cross party support from elected members at today’s (Thursday 7 March) City Administration Committee for the consultation to start on Monday 18 March. Leave the Notre Dame High School entry criteria as is, that is, no change. Retain the all-girl status, but change the associated primary school configuration; and thereby alter the catchment area. Four denominational learning communities in the city would be directly affected by any changes to the entry criteria at Notre Dame High – John Paul, Notre Dame, St Roch’s and St Thomas Aquinas. Following the decision to consult today a council spokeswoman said: “The consultation is the ideal opportunity for all interested parties to make their views known as part of the consultation process. East End based artists Bespoke Atelier, have taken inspiration from creative pupils at a Calton primary school when designing decorative plaques set to be laid beneath each of the recently refurbished The Barras signs. The celebrated steel arches are looking resplendent, having undergone a programme of repairs and repainting as part of major works to regenerate the Barras Public Realm which is funded through the £27m City Deal Collegelands Calton Barras infrastructure programme. This artist-led project involving St Anne’s Primary School has seen local surface designers Bespoke Atelier take inspiration from material produced by the children following their visit to The Barras and subsequent participation in workshops; as stimulus to create the final four designs. Today (8 March) pupils from St Anne’s took up the artists’ invitation to an exhibition at the nearby Barras Art and Design (BAaD), which showcases how the four plaques will look and how their own artistic endeavours inspired the intricate final designs. Councillor Kenny McLean, City Convener for Neighbourhoods, Housing and Public Realm, said: “The Barras Public Realm project, funded by the Glasgow City Region City Deal, is significantly transforming this important part of Glasgow. Improvements already delivered have had a hugely positive effect, acting as a catalyst for further investment and activity in the area. The Barras signs are looking like new and the addition of decorative plaques, the design of which has been influenced by local schoolchildren, will be a welcome addition, further contributing to the much improved amenity of the area. Marion Parola, Designer and Director at Bespoke Atelier said; “The children from St Anne’s have been integral to the creative process and their keen observations of the Barras inspired many of our design ideas. I was delighted to see them again and I hope that they are proud of the influence they’ve had on what will be part of the streetscape in an area close to their school”. Marie Hamilton, Depute Headteacher of St Anne’s Primary School said; “Our children had a wonderful time seeking inspiration from their visit to the Barras and they came back to the classroom full of ideas and enthusiasm which translated into exceptionally thoughtful artwork. It’s lovely for them to be invited along to BAaD to see how their creativity has influenced the final designs”. The exhibition by Bespoke Atelier which includes the four decorative plaque designs is open to the public at Barras Art and Design between the hours of 12:00-21:00 from 8 March 2019 until 17 March 2019 (excluding Mondays). The City Deal Barras Public Realm project is increasing the attractiveness of streets and spaces as well as improving travel connections. This project has already delivered high quality resurfacing and pavement widening in the area as well as improved lighting and CCTV. Future work planned will improve key streets and junctions adjacent to the Barras and enhance connectivity with the city centre by prioritising pedestrians and cyclists, and reducing the dominance of vehicles. These projects were identified in the Calton Barras Action Plan, approved by the Council in 2012, the main focus of which is on the physical regeneration of the Calton Barras area in recognition of the challenges it faces and its strategic importance to the city. The Barras Masterplan (GCC, 2016) sets out the guiding principles for the Public Ream works and included wide public consultation, through a series of workshops and interviews. The report is published on the back of Glasgow’s highest positive destination figures last week (92.3%) which saw more of our young people than ever before going to further and higher education and for the first time – more than the national average. Councillor Chris Cunningham, City Convener for Education, Skills & Early Years has welcomed the excellent inspection report and what it means to the city. He said today: “The improvements in the learning and teaching in our schools over the last 10 years are nothing short of remarkable and the report today is proof of these achievements. “Children and young people are at the heart of everything we do and there is no such thing as poverty of aspirations in our schools anymore. “This is despite the fact that almost half of our pupils live in the 10% most deprived areas in Scotland. “No one in education uses this as an excuse – we don’t hide behind these barriers– we tackle these challenges head on and as highlighted in the inspection’s key strengths – our children and young people are reaping the benefits in our pursuit for excellence. “Glasgow’s attainment, achievement, attendance and positive destination figures are the highest they have ever been – our schools are constantly raising the bar and what shines out bright throughout the inspection report is our passion, commitment and relentless drive. “We will never be complacent and will continue to support our schools to keep delivering for our children – giving them every opportunity we can. Annemarie O’Donnell, Chief Executive, Glasgow City Council said: “Today’s excellent report card for our schools and nurseries is something to be celebrated by everyone who has been a part of our journey of improvement and who is dedicated to Glasgow’s children. Education Scotland Inspectors spent two weeks in Glasgow as part of a new model of inspection of local authorities. HM Chief Inspector of Education Gayle Gorman said: “This report is a real tribute to the teachers and support staff for their outstanding commitment to improving learning, raising attainment and reducing the impact of poverty on learners. “I’m very pleased to see that staff are well supported and challenged to own and deliver the aspirational goals they have created for all children, young people and families across the city. Education Scotland Strategic Director of Scrutiny Janie McManus said: “What stood out in this report were the approaches to targeting, selecting and evaluating the impact of initiatives. “This is particularly well illustrated by the fact that headteachers are now confidently using data to make decisions on how additional funding can have the greatest impact for children in their local context. “Not only are classroom doors open but school gates are open for collaboration.” Class teacher, Glasgow. “I know what I want to do when I am older – I want to make all schools as good as mine.” Secondary pupil. “My son is a different person now. With the support of everyone here he just loves maths.” Parent of primary pupil in relation to Glasgow Counts. Glasgow could become the first city in the UK to pilot changes to the asylum process after a multi-agency taskforce recommended a number of proposed reforms. The city is keen to lead the way on proposed changes to the existing system agreed by partners on its Asylum Taskforce, which includes the Home Office. The proposals would make the process easier – both for people seeking asylum and for local authorities in the towns and cities where they hope to build new lives. The creation of a Regional Partnership Board with members including Glasgow City Council, Glasgow’s Health & Social Care Partnership, the Home Office, Mears, Serco and COSLA. This would commission, monitor and report on ongoing work on asylum in the city. The taskforce also wants asylum seekers to be able to register in regional centres like Glasgow – instead of having to travel to Croydon to do so, at their own expense (after being dispersed to Glasgow) Currently only families and vulnerable people can register in regional centres. An end to people being required to travel to Liverpool to make further submissions. The taskforce believes this is unnecessary and could be more efficiently delivered in Glasgow. Annemarie O’Donnell, Chair of the Asylum Taskforce and Chief Executive of Glasgow City Council, said: “When people come to our city looking for help, Glaswegians want to ensure we do everything we can to assist them. This piece of work has been carried out in an open and honest environment and I want to thank colleagues from the Scottish and UK governments, COSLA, Serco, Scottish Refugee Council and the West of Scotland Housing Forum for the way in which they have approached this. The taskforce, which included Glasgow City Council, the Scottish Government, the Scottish Refugee Council, COSLA, the Home Office and Glasgow and West of Scotland Housing Forum, was set up last summer amid concerns about planned evictions of refused asylum seekers in the city. The lock changes have now been paused by Serco, while two legal challenges are heard in court. Meanwhile, the taskforce has been developing ways in which the relationship between local authorities, the Home Office and their contractors can be recalibrated – to create more of a partnership approach and improve information sharing. The recommendations were contained in a taskforce closing report and were accepted by all partners, with a commitment from the Home Office to look at each one to determine what can be agreed and implemented. Glasgow welcomes the highest number of asylum seekers in any UK local authority area and is well placed to pilot process transformation then share its learnings with other cities. It is believed that other areas across the UK are watching developments here with interest. The proposals would not lead to higher numbers of asylum seekers coming to Glasgow as dispersal would still be managed by the Home Office, with ongoing monitoring through the new Partnership Board. Ambitious start-ups with aspirations to scale up, had the chance to discuss their growth plans today (1 March) with Kate Forbes MSP, Minister for Public Finance and Digital Economy as she paid a visit to Tontine, the City Deal business accelerator based in Glasgow’s Merchant City. As a centre of innovation, Tontine attracts and nurtures high growth entrepreneurial talent and is host to many of Scotland’s significant growth companies of the future. Digital Economy Minister Kate Forbes said; “Scotland’s entrepreneurs are hugely important to our economy. “Tontine is a fantastic example of how the right support can help ambitious tech start-ups to grow. In particular, it demonstrates what can be achieved when organisations from across the private and public sectors work together towards a common goal. Cllr Angus Millar, Glasgow City Council’s Depute City Convener for Economic Growth added: “Tontine is a fantastic space in which businesses with aspirations to grow can thrive. “This City Deal funded innovation project champions entrepreneurial drive and provides a boost to the region’s economy, with enterprises fully supported in their ambitions to scale up. “Tontine is nurturing many young, innovative companies, all of which have exciting futures in store. I look forward to watching these enterprises grow and generate future employment opportunities for the region”.